Olive oil is a medium weight oil with an average absorbance rate. It can leave a slightly oily sheen on the skin when applied topically, but is rich in nutrients and stable. It has a pleasant aroma and a light green tint. Because of its widespread tolerance and stable nature, it is one of the most universally used carrier oils in skin care products. It is very commonly used in cooking and the soap making industry. Olive trees can live from 300 to 600 years old and it takes 11 pounds of olive to produce one quart of oil. 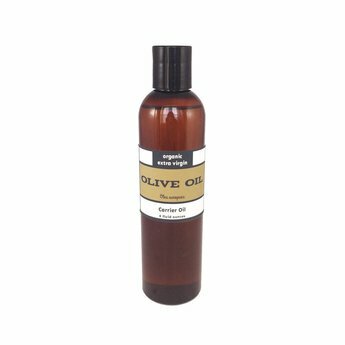 It is recommended that cold-pressed carrier oils be kept in a cool dark place to maintain freshness and achieve maximum shelf life. Users can expect a shelf life of 2 years using proper storage conditions.